Large olive wood handle with classy black horn spacers and brass parts. 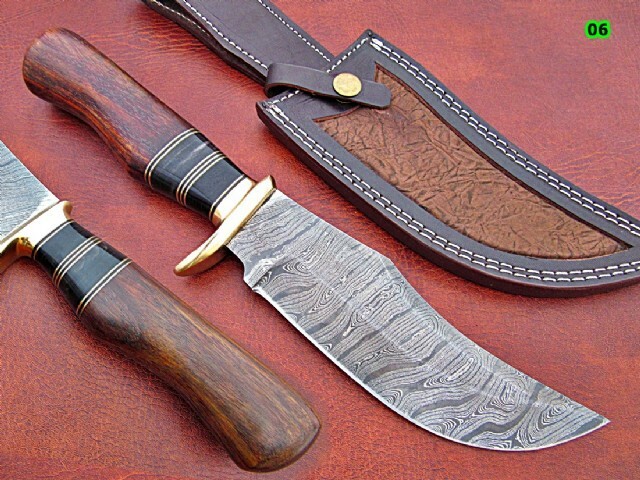 Unique and sharp Damascus blade 23cm. Comes with genuine leather sheath.